Sleek, sporty and known for its impressive performance and handling, the Toyota Celica features sharp and aggressive styling, backed up by the kind of ride that won't fail to put a smile on your face. 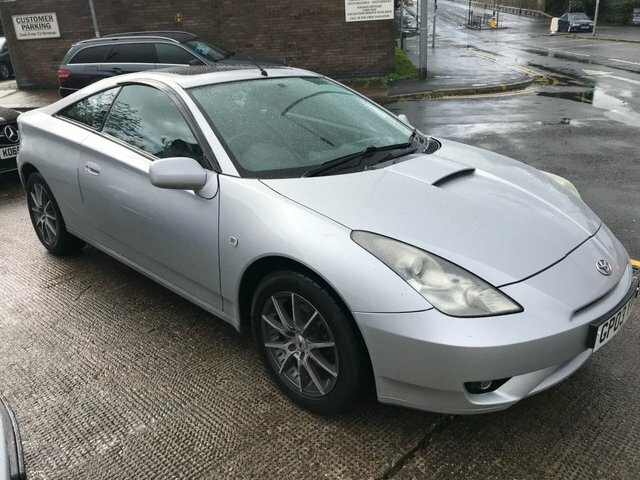 If you're looking for a practical sports coupé that comes with a reputation for rock-solid reliability, one of the used Toyota Celica models for sale in Preston is worth closer inspection. You can pay a visit to our showroom today, or simply start your search here on the website. Feel free to contact a member of the team with any questions and rest assured we'll be able to arrange a test drive in the vehicle of your choice.